Hyderabad-based ZapForce Technologies Pvt Ltd, which runs on-demand beauty, wellness and fitness app Zapluk, has raised an undisclosed amount in angel funding from a group of angel investors including Alok Sharma, former CEO of Apple India. The funding will be used to scale up operations and marketing, and expand Zapluk's backend team, a company statement said. Zapluk was founded by three BITS Pilani alumni - Manan Maheshwari, Mahesh Teja Gogineni and Chakradhar Dandu â€“ in August 2015. 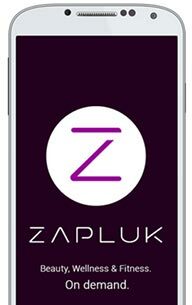 ZapLuk allows customers to order beauty services at home after viewing the profiles of the stylists listed on the app. It currently provides services to selected areas in Hyderabad. A number of startups including Stayglad, MyGlamm, Vanitycube and Vyomo offering on-demand beauty services, StayGlad recently raised an undisclosed amount in Series A funding from Silicon Valley-based VC firm Bessemer Venture Partners. In November, beauty services marketplace BigStylist raised $1 million in pre-Series A funding from Info Edge (India) Ltd, which runs a slew of internet properties such as Naukri, 99acres, Jeevansathi and Shiksha, among others. In August, Mumbai-based on-demand home beauty services marketplace Belita Retail Pvt Ltd raised $375,000 (Rs 2.5 crore) in angel funding through LetsVenture and Lead Angels. In June Bangalore-based Vyomo Pte. Ltd., which runs a beauty and wellness platform, has raised an undisclosed amount in seed funding led by TaxiForSure co-founder Aprameya Radhakrishna.